This app is designed to enable teachers to track the actions, achievements, and behaviors of their students. 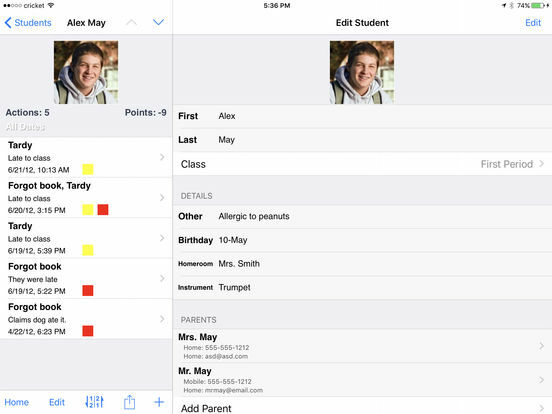 It lets teachers to easily communicate with their students’ parents via a mobile device. 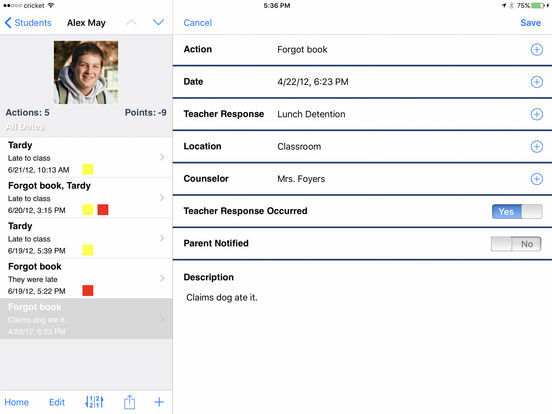 For a teacher, tracking the behavior of a student with this app is as easy. That’s because this app collects the required data during a conference. Thus, the teacher gets all the information they need right from this app. Save time with the best classroom management app! 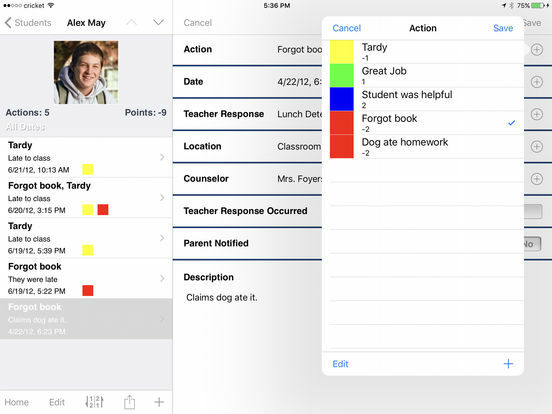 Teacher's Assistant Pro allows you to keep track of student actions, behaviors, and achievements in the classroom. Communicate quickly and easily with parents via iPhone or iPad. The app is used by teachers all around the world. Use the #1 Education app for tracking behavior. Try the FREE version before you buy!! Featured in USA TODAY as one of the "best teacher apps", TeacherCast.net, and Classroom 2.0 LIVE! 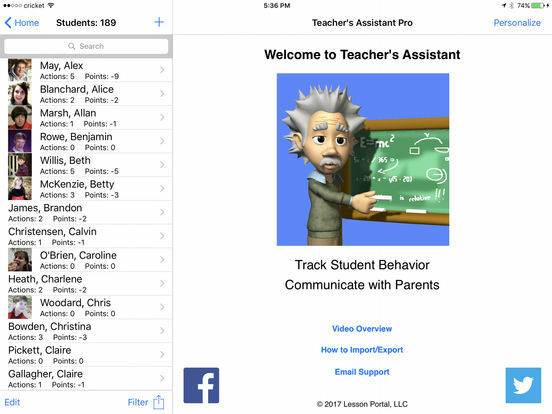 Teacher's Assistant Pro collects the data you enter, and when you're ready to contact the parent or have a conference, you have all the data you need. The app stores the name of the infraction/accolade, the date and time, where it occurred, any pictures you attached, which class period, a detailed description, what teacher action was issued (and if it was served), and whether the parent had been notified. You can also share data with other Teacher's Assistant Pro users via email, dropbox, or backup your data in iTunes. You can also export all your student action records via email or dropbox.